RiverHill Havanese is small Minnesota Havanese breeder located 1 hour south of Minneapolis, Minnesota. 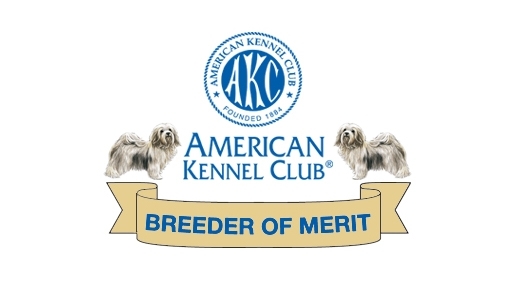 We are proud to raise and show AKC registered and Health Tested Havanese. We strive to breed our Havanese according to the AKC breed standard; especially for health, temperament, and type. We health test our dogs before they are bred. We do CERF testing (eye), BAER testing (hearing) and OFA testing (hips and patellas). We've produced many wonderful Champions along with sweet, loving pet puppies for deserving families. At RiverHill our dogs are part of the family and all puppies are born and raised in our home with our three children. Our main focus is to raise the healthiest most beautiful Havanese available who are well socialized, have wonderful temperaments and who exemplifies what a Havanese should be. We are proud to be a member and the Minnesota Purebred Dog Breeders Association & North Star Havanese Club. This site designed and maintained by Cassandra Reasor.